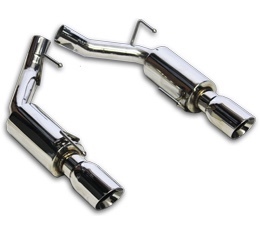 NXT STEP PERFORMANCE INC. specializes in high performance stainless steel exhaust systems for GM and Ford markets with buyers found around the world. All of our systems are made using the highest quality materials available to the market with most being manufactured using high grade stainless steel. All systems are mandrel bent for maximum flow and power. 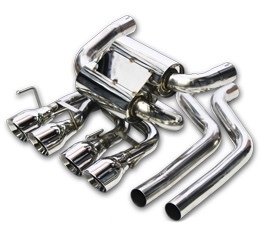 All of NXT STEP PERFORMANCE INC. systems are designed and tested to meet our high standards for sound quality, fitment and performance before they are brought to the streets or the track. We continue to develop and bring new systems to the industry with great fan fare from our customers and dealers. Our product line includes everything from performance axle back systems to full race header back systems. We also are proud to say that when we advertise a system as T-304 stainless steel the complete exhaust system is made of this material including the flanges. NXT STEP PERFORMANCE, INC. systems come with a limited lifetime warranty against material and manufacturing defects (see terms below) so buy our product with the idea of this is the last exhaust upgrade you’ll ever make while you own your vehicle. 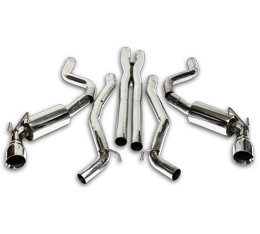 LIMITED LIFETIME WARRANTY: All NXT STEP PERFORMANCE, INC. exhaust systems come with a limited lifetime warranty against manufacturing defects for both materials and quality. Warranty is valid to the original purchaser and original vehicle the exhaust system is installed. You must contact your original retailer in order to get the warranty process initiated. NXT STEP PERFORMANCE, INC. will examine any returned product and has the right under this warranty to replace or repair the item. This warranty does not include the cost of removal and installation of the exhaust system and any shipping/freight costs associated with returning items to the retailer. Any changes, modifications or systems used for racing purposes will void all warranties.